Restore, Repair and Renew, a new loan program for Philadelphia home owners, is offering money to lower income homeowners that can be used for a number of home improvements. NBC10 is one of 20 news organizations producing Broke in Philly, a collaborative reporting project on solutions to poverty and the city’s push towards economic justice. Follow us at @BrokeInPhilly. Middle-and low-income Philadelphia residents whose houses need new windows, doors and even roofs are now eligible for low-interest home improvement loans through the city’s Restore, Repair, Renew program, unveiled Wednesday afternoon. Qualifying applicants would receive a 10-year, 3-percent fixed interest loan that ranges from $2,500 to $24,999. Unlike most private loans, homeowners only need a 580 minimum credit score and an income of $104,880 for a family four. Additionally, residents must have homeowners’ insurance, be up-to-date on their utility bills and property taxes and have no Department of Licensing and Inspection violations. Restore, Repair, Renew was launched nearly three years after Philadelphia City Council approved a .1 percent increase in the realty transfer tax to create a $100 million bond. More than half of that money went to clearing massive backlogs in Philadelphia’s home-repair programs and $40 million went towards Restore, Repair, Renew. The idea was to create a sustainable system in which qualifying homeowners would repay monthly minimums at a fixed interest rate in order to keep the program going. Participating homeowners would be connected with financial advisors to help them set up a payment plan that works with their existing budget. 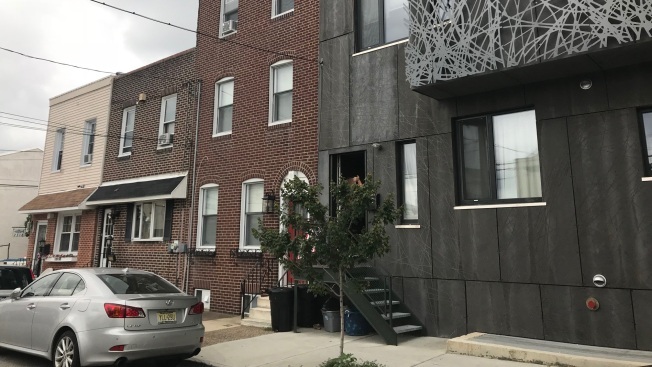 Restore, Repair, Renew will be overseen by the Philadelphia Redevelopment Authority, which will collect data from the program in an effort to better understand Philadelphia’s housing needs, according to PRA executive director Gregory Heller. Over time, people with low credit scores would have the opportunity to rebuild their credit, Heller said. The loans will come from two lenders - Finata, a non-profit, and Pennsylvania-based bank Univest Bank and Trust Co. Before loans are dispersed, homeowners will meet with representatives from one of three intermediaries - Philadelphia Council for Council for Community Advancement, Clarifi and Public Health Management Corp.
“Between that low rate and having these financial agencies at your side, we wanted to put in safeguards to make sure that people are taking on debt they can afford,” Heller said. Part of the impetus for creating Restore, Repair, Renew is to bolster Philadelphia’s middle class and maintain its aging house stock, half of which was built before 1945, according to Councilwoman Cherelle Parker, who represents the 9th District. But not everybody is convinced Restore, Repair, Renew will be a cure-all. North Philadelphia resident Jennifer Bennetch brought her husband and two children to Wednesday’s announcement. She worries that Restore, Repair, Renew will be just another form of debt for vulnerable Philadelphia residents. “If we’re talking about addressing poverty in the community, why push us further into debt by giving them loans while the wealthy are given tax abatements and free passes?” she asked. Despite being a homeowner herself, Bennetch said she would not participate in the program. “The city has a lot of tricks up its sleeve,” she added. But Councilwoman Parker said Restore, Repair, Renew is one instance where Philadelphia is “getting it right.” The program was created for “consistent contributors to the taxbase” who traditionally have been shut out of loan programs because of low credit scores. According to data from the Federal Reserve Bank of Philadelphia, nearly 75 percent of middle- and low-income earners were denied home improvement loans between 2015 and 2017. “I invite you to walk down the block, look at the houses and you will notice the crumbling steps, the busted curbs … go inside and you might see the water damage from the leaky roof,” Parker said. Residents interested in Restore, Repair, Renew should visit the program's website for more details.